Law Offices of Jeffrey D. Starker, P.A. Law Offices of Scott M. Miller, P.A. Why These Medical Malpractice Lawyers? Our goal is to connect people with the best local experts. We scored medical malpractice lawyers on more than 25 variables across five categories, and analysed the results to give you a hand-picked list of the best medical malpractice lawyers in Orlando, FL. Avard Law Offices is an Orlando firm that has several locations and has been serving clients in Southwest Florida, Cape Coral, Fort Myers, and other areas for over 26 years. Practice areas include medical malpractice, personal injury, social security disability, veterans disability, workers’ compensation, motorcycle accidents, and auto accidents. Avard Law Offices offers free consultations and provides service in English, Spanish, Russian, and Ukrainian. Carol Avard and Douglas D. Mohney are Board Certified Social Security Disability Advocacy Attorneys by the National Board of Trail Advocacy. Douglas also has an AV Preeminent rating by Martindale-Hubbell. Bailey Fisher PLLC is a Winter Park firm that handles personal injury cases. Practice areas include medical malpractice, personal injury, wrongful death, and car accidents. Bailey Fisher PLLC offers a free case evaluation. Michael K. Bailey has an AV rating from Martindale-Hubbell and Jay M. Fisher was named in Super Lawyers in 2010 and 2011. Cole, Scott & Kissane, P.A. is an Orlando firm that has been serving clients for over 18 years. Practice areas include medical malpractice, premises liability, product liability, vehicle negligence, workers’ compensation, professional malpractice, family law, consumer law, class action, and legal malpractice. Clients remark on their attention to detail and integrity. Diez-Arguelles & Tejedor P.A. is an Orlando firm that handles personal injury cases. Areas of practice include medical malpractice, birth injury, wrongful death, nursing home abuse, dangerous drugs, brain injury, mesothelioma, auto accidents, tractor-trailer and truck accidents, product liability, amusement park accidents, and slip and fall accidents. Maria Dolores Tejedor has a Superb Avvo rating. She and Carlos Diez-Arguelles are AV rated lawyers. Horst Law Firm is an Orlando firm that serves Lake Nona, St. Cloud, Lee Vista, Waterford Lakes, Daytona, Altamonte Springs, Kissimmee, and Orlando. Areas of practice include medical malpractice, wrongful death, auto accidents, and nursing home abuse. Horst Law Firm provides a free case review. Clients appreciate Robert’s knowledge, professionalism, and responsiveness. Johnson & Williams, P.A. is an Orlando firm that handles personal injury cases. Practice areas include medical malpractice, motor vehicle accidents, workers’ compensation, brain injury, birth injury, and insurance disputes. Steven M. Johnson and Marc R. Williams are members of the Orange Bar Association, the Florida Bar Association, and the Seminole County Bar Association. Johnson & Williams, P.A. provides a free consultation. Law Offices of Jeffrey D. Starker, P.A. is an Orlando firm that handles personal injury cases. 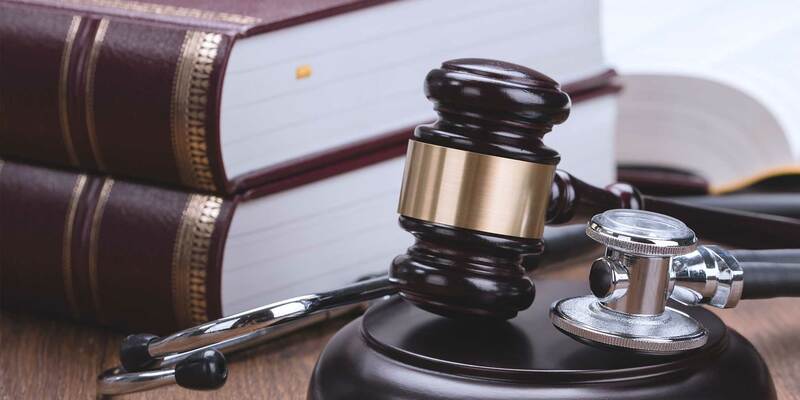 Practice areas include medical malpractice, dog bites, trucking accidents, nursing home abuse, slip and fall accidents, product liability, food poisoning, car accidents, and motorcycle accidents. Jeffrey has more than 20 years of experience. Law Offices of Jeffrey D. Starker, P.A. provides free consultations. Law Offices of Michael B. Brehne, P.A. is an Altamonte Springs firm that has been serving clients for over 19 years. Practice areas are family law, criminal law, accidents, insurance disputes, and personal injury. Personal injury matters include medical malpractice, wrongful death, catastrophic injuries, dog bites, premises liability, and nursing home abuse. Michael’s memberships include the Orange County Bar Association, the Florida Bar, the Seminole County Bar Association, and the Florida Justice Association. Law Offices of Scott M. Miller, P.A. is a Longwood firm that serves Wekiva Springs, Oviedo, Eatonville, Altamonte Springs, Maitland, Winter Park, Sanford, Heathrow, Casselberry, Lake Mary, and Longwood. The firm handles medical malpractice, slip and fall accidents, motorcycle accidents, truck accidents, car accidents, and personal injury cases. Law Offices of Scott M. Miller, P.A. offers free initial consultations and clients pay no fees if there is no recovery. The firm provides service in English and Spanish. Legally Pink Law is a Winter Park firm that has been serving clients for over 10 years. Practice areas include medical malpractice, premises liability, wrongful death, product liability, truck accidents, car accidents, defective medical devices, and motorcycle accidents. Carolyn Salzmann won the James Glazebrook Professionalism Award for excellence and Billie Jo Belcher was Ohio Assistant Prosecuting Attorney of the Year in 2008. Legally Pink Law offers a free consultation and charges no fees unless they win. Nater Law Firm, PLLC is an Orlando firm that handles bankruptcy and personal injury matters. Practice areas include medical malpractice, premise liability, slip and fall accidents, wrongful death, auto accidents, and chapter 7 bankruptcy. Fanny Nater has a J.D. from Florida A & M University, College of Law. Clients remark on their communication, professionalism, and knowledge. Newsome Melton is an Orlando firm that handles personal injury cases. The firm’s practice areas include medical malpractice, defective drugs, class action, defective airbags, consumer help, government fraud, wrongful death, vehicle accidents, and defective tires. C. Richard Newsome has a Superb Avvo rating and is AV rated by Martindale-Hubbell. Frank Melton’s memberships include the Orange County Bar Association, the Central Florida Trial Lawyers Association, the American Bar Association, and the American Association for Justice. Newsome Melton was AV rated by Martindale-Hubbell from 2004 to 2014. The firm offers free case evaluations. Normand PLLC is an Orlando firm that has been serving clients for over 24 years. The firm’s practice areas include medical malpractice, personal injury, car accident, product liability, premises liability, theme park accidents, class actions, and insurance disputes. Edmund Normand has a Superb Avvo rating. Normand PLLC provides a free consultation. Clients appreciate their knowledge, availability, and efficiency. Payas, Payas & Payas, LLC is an Orlando firm that has been serving clients for over 35 years. Practice areas include medical malpractice, brain injury, trucking accidents, missed heart attacks, wrongful death, dangerous drugs, tractor-trailer accidents, auto accidents, ER negligence, product liability, asbestos, birth injury, roller coaster accidents, slip and fall accidents, nursing home abuse, and cerebral palsy. Armando R. Payas has a Superb Avvo rating. He was selected to Super Lawyers from 2014–2017. Payas, Payas & Payas, LLC provides free consultations. Pearson Bitman LLP is a Maitland firm that has four locations and has been serving clients for over three years. Practice areas include medical malpractice, commercial litigation, insurance defense, wrongful death defense, product liability, employment litigation, real estate transactions, and breach of warranty. Pearson Bitman LLP has an A+ rating from the Better Business Bureau. Karl E. Pearson was named a Florida Super Lawyer in 2012 and Florida Trend’s Legal Elite in 2010. Ronnie J. Bitman was also named Florida Trend’s Legal Elite in 2016. Reese Law Firm is a Winter Park firm that serves clients in Georgia and Florida. Practice areas include medical malpractice, wrongful death, slip and fall accidents, automobile negligence, premises liability, and animal attacks and dog bites. Rabbiyah A. Reese’s memberships include the Central Florida Association of Women Lawyers, Florida Justice Association, and the Orange County Bar. Reese Law Firm offers a free case evaluation. Sunner & Sunner, Attorneys at Law is a Longwood firm that has been serving Lake Mary, Altamonte Springs, Orange City, Winter Springs, Alaqua Lakes, Deltona, Oviedo, Debary, Heathrow, and Orlando for over 30 years. Practice areas include medical malpractice, wrongful death, insurance disputes, motorcycle accidents, auto accidents, slip and fall accidents, and workers’ compensation. Sunner & Sunner, Attorneys at Law offers a free initial consultation. The Francis Law Group is an Orlando firm that handles personal injury cases. The firm’s practice areas include medical malpractice, premises liability, wrongful death, bus accidents, tractor-trailer accidents, dog bites, animal attacks, automobile accidents, and motorcycle accidents. The Francis Law Group provides a free consultation. Tony Francis is a member of the Florida Bar, the Orange County Bar Association, the Florida Justice Association, and the Central Florida Trial Lawyers Association. The firm is accredited by the Better Business Bureau and has an A+ rating. The Maher Law Firm is a Winter Park firm that has been serving clients for over 40 years. Practice areas include medical and hospital negligence, dangerous drugs, car accidents, spinal cord injuries, wrongful death, burn injuries, class action litigation, traumatic brain injuries, and defective medical devices. The Maher Law Firm offers free consultations. Michael Maher has won several awards including Trial Lawyer of the Year in 2000. Clients remark on their availability, expertise, professionalism, and dedication. Tina Willis Law is an Orlando firm that handles personal injury cases. Practice areas include medical malpractice, slip and fall accidents, RV accidents, car accidents, wrongful death, drunk driving accidents, and motorcycle accidents. Tina has a Superb Avvo rating and National Trial Lawyers chose her as a Top 100 Trial Lawyer. Clients appreciate her knowledge, passion, and professionalism.